Ideal for a small garden or greenhouse. Needs no insects for pollination, so you'll always get a good crop of tasty, dark green fruit! You don't have to have a large vegetable garden to grow your own. Even the smallest patio or balcony can accommodate a few containers that will give you a bumper crop of delicious fresh produce! On Receipt - Remove the plants from the packaging immediately upon receipt. Check the compost is moist and water if necessary. 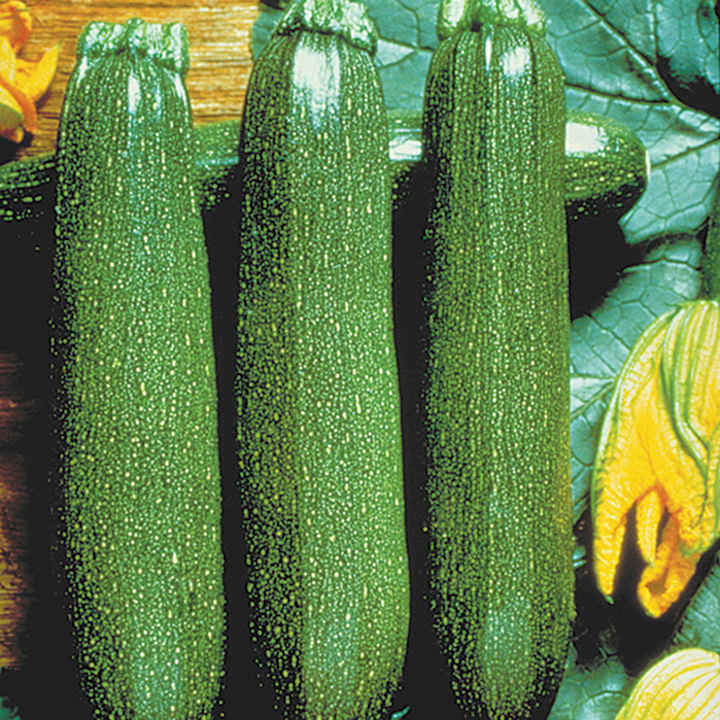 All the vegetable plants can be planted immediately into a moist soil in the garden, provided conditions are suitable. Once planted water well to settle the soil around the plants. Soil Preparation - Vegetable plants require a well drained soil in a sunny position that has ideally been dug in the autumn. Prior to planting lightly fork over the area removing any weeds that have grown, and break down any large lumps. Apply a general fertiliser such as Growmore and rake into the surface. During the growing period keep the plants well watered in dry spells and keep weeds under control. Ideal for beds and borders, patio pots and containers, greenhouses. Prefers full sun.